Until the 1880s, immigration to the United States was a relatively open process with few restrictions. Following the Civil War, however, a rise in Chinese immigration in California led to fears that immigrants provided a cheap source of labor that would undermine the ability of Americans to find employment. 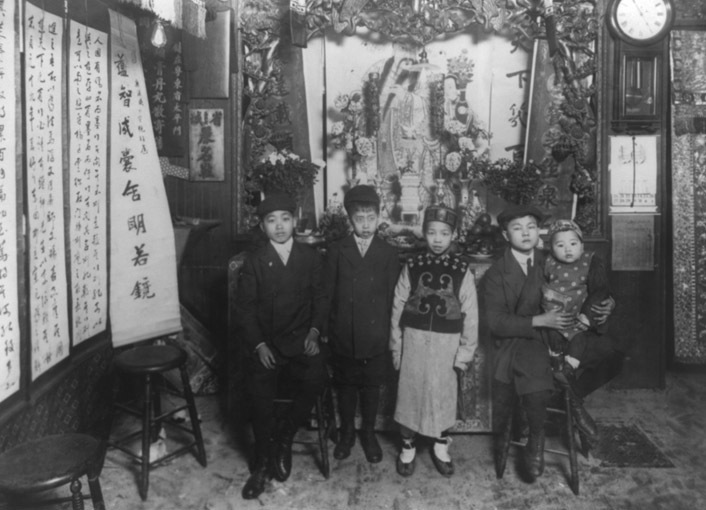 Chinese immigrants were also viewed as ethnically and culturally inferior to Americans of European descent, a racial prejudice that politicians were quick to use for political gain. As a result, the Chinese Exclusion Act, which was the first major piece of federal legislation to place restrictions on immigration, was passed in 1882. The Chinese Exclusion Act was also the first piece of federal legislation that used race or nationality as the basis for immigration policy, an important legal precedent, and one that did not go unchallenged. 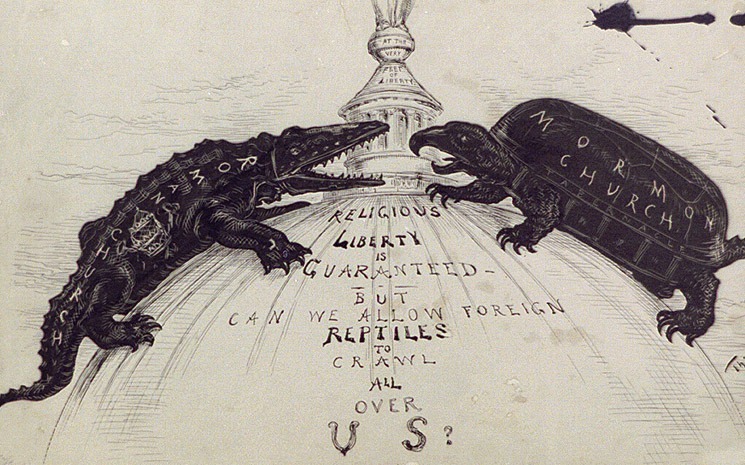 Many Americans spoke out against the Exclusion Act, arguing that it violated American ideals of freedom and tolerance. Most American Catholics, for example, opposed the act, although anti-Catholic prejudice made the Church reluctant to take an openly critical stance on such a controversial issue. The founding of the NCWC was still in the future at the time of the Act's passage, meaning that the Church as yet had no organization that could lobby against the bill, should it be moved to do so. These negative attitudes towards certain racial "types" were encouraged by the belief that inherited traits determined a person's economic and social success. People believed that immigrants from Southern and Eastern Europe were genetically less able to be productive citizens, and thus would be a burden on the American public. These ideas influenced the immigration legislation passed by Congress in the 1910s and 1920s. The Immigration Act of 1917, for example, imposed a literacy test on potential immigrants, prohibiting the illiterate from entering the country. Illiteracy was seen as a sign of natural inferiority, rather than as a result of poor education. The literacy test as a basis for immigration restriction was vehemently opposed by the majority of American Catholics, who believed that the bill was aimed at curtailing Catholic immigration to the U.S. The bill was vetoed by President Woodrow Wilson, who insisted that literacy was not an adequate measure of an immigrant's citizenship potential. The rising tide of nationalist sentiment inspired by American entry into the First World War, however, encouraged Congress to override the veto and establish the literacy test as a means of immigration restriction. Following the War, the popularity of immigration restriction was at an all-time high. In response, Congress passed the Emergency Quota Act in 1921, which established fixed limits on the number of people emigrating to the U.S. from any one country. 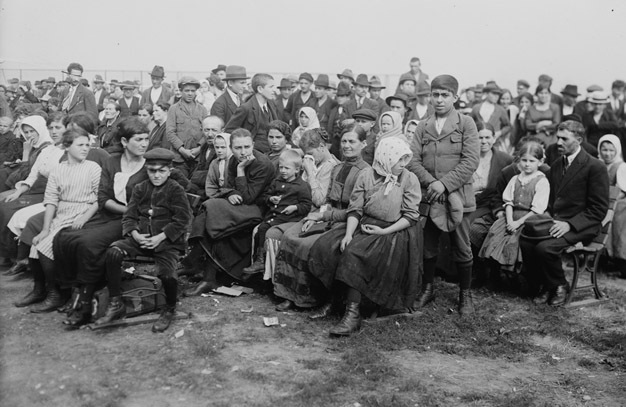 The 1921 Act established the quotas based on 3% of the number of immigrants from each national origin group based on the 1910 census, which reflected fewer numbers of immigrants from Southern and Eastern Europe than the time in which the act was under debate. In fixing the quotas based on the 1910 numbers, Congress hoped to keep out the supposedly inferior races, such as Italians, Poles, and Slavs. In 1924, the Johnson-Reed Act extended the quota system in an even more discriminatory process. This Act fixed immigration at 153,700 immigrants per year, a draconian restriction on immigration; it also changed the basis of the quotas to 2% of the nationalities represented in the 1890 census, when even fewer Southern and Eastern Europeans had been present in the United States. The new legislation thus discriminated against Catholic immigrants, the majority of whom came from the "undesirable" regions of Europe. The documents on this page demonstrate Catholic opposition to the Johnson-Reed Act, and the response of the NCWC's Bureau of Immigration to the Act's passage. 1Andrew Gyory, Closing the Gate: Race Politics, and the Chinese Exclusion Act, (Chapel Hill, NC: The University of North Carolina Press, 1998), 257. 2See Mary Elizabeth Brown, "Immigration Legislation in the United States" in The Encyclopedia of American Catholic History, Michael Glazier and Thomas J. Shelley, eds. (Collegeville, MN: The Liturgical Press, 1997), 681-83.